Kiki Tay's Blog: *SCAPE MAGIC CARNIVAL!! in just 4 more days!! 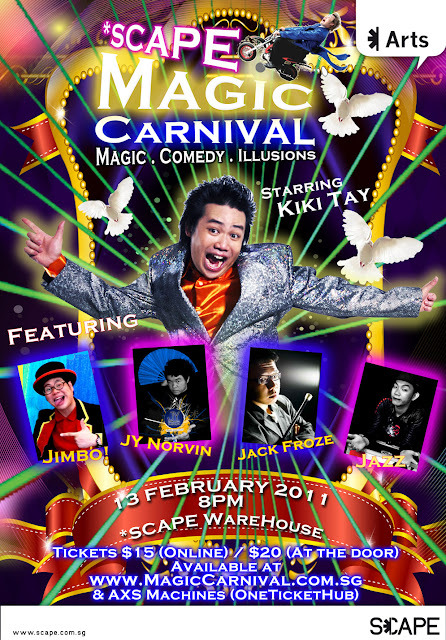 *SCAPE MAGIC CARNIVAL!! in just 4 more days!! Just 4 more days to go to showtime!! of find out more at www.MagicCarnival.com.sg !